MHK Business News [the magazine] has a total distribution of 10,000+ in the greater Manhattan area. 9,000 are delivered directly to homes via mail. 500 are placed throughout town at area business, bank and service provider lobbies, Manhattan Regional Airport, area hotels, and the Chamber of Commerce. 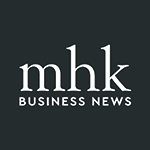 MHK Business News offers a limited amount (4-6 pages) of sponsored content available for advertisers at the full page rate + 20%. Copywriting and photography for sponsored content will be provided by the publisher. The publisher has the right to refuse sponsored content request if the content is not deemed of significant editorial interest to the readership. Read the online version here!